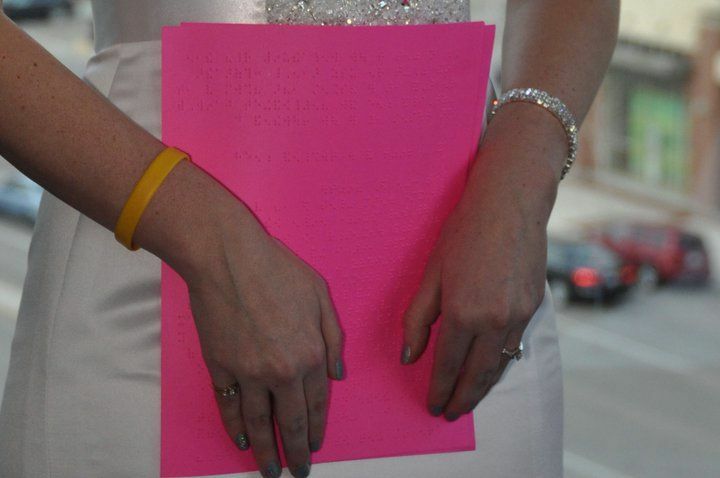 I love the hot pink card stock used for her vows. Beautiful picture. The person in the photo is Deja Marie Powell and she wrote the following yesterday, on her Facebook page. If you are wondering about the pink paper, it is typical card stock which you can find in office supply stores such as Office Depot.